I’m a huge Big Lots fan! I’ve mentioned this before but I’ll say it again. I love Big Lots. Before I got into using coupons I would go to Big Lots on a regular basis. If you decide you don’t want to use coupons I strongly suggest shopping at Big Lots as a great way to save. Now, I will admit my family and I went a little over board! We were so excited to use the 20% off the entire purchase spent much more then I had planned. It happens to the best of us. The best part about Big Lots and their 20% coupons is they apply to EVERYTHING in the store! So if you want to buy furniture, software, games, TVs, electronics, or diapers you can with this coupon! My husband pointed out that one of my wishes was to buy a Cricut machine. They are expensive! I love scrapbooking as another hobby of mine but admit that this is a luxury and cool item! With the coupon it came to $103! Not bad! I also picked up 2 cartridges for $24 each. 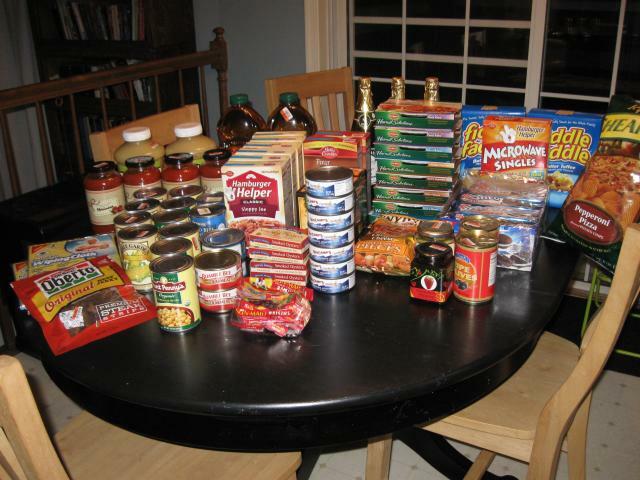 Here is a picture of all of the things we bought. I will definitely consider this my weekly grocery shopping and then some. I went a little over the $40 weekly budget. Included we also bought some clothes, socks and a chair for my daughter. Other good deals when using the 20% coupon. Note: I buy a lot of socks! New Moms out there make sure you buy lots of socks! My daughter loves socks so much she carrys them around with her. I’m not kidding! The cool thing I learned is the “in” thing now is for girls to wear mis-matched socks! We went to Disney and found a store that sold these type of socks for $4 a sock (not pair)! Crazy! Buying them at Big Lots or other discount places is the way to do it. Note: I’m crazy about these cleaning cloths! To eliminate using as many paper towels around the kitchen I found these Mr. Clean Wiping Cloths to be the best replacement! I found them a month ago and I’m so happy with them. Using this coupon it costs $.40 each and they last. It says it can be washed in the washer about 100 times? I use it to clean the dishes and counters. The best part it can capture crumbs with ease! Then it drys quickly unlike sponges. I love them! 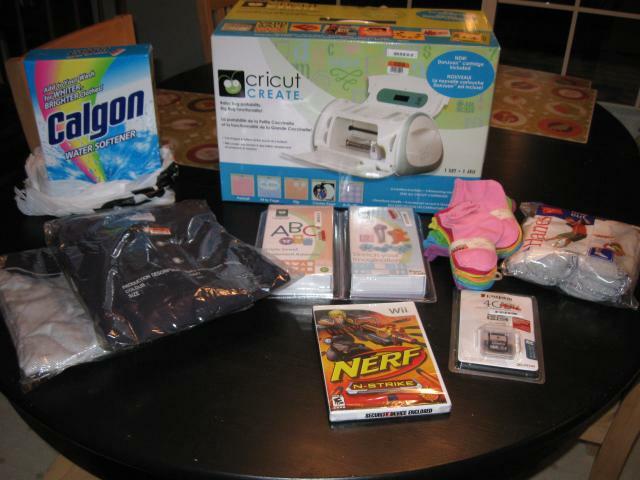 Thanks to MoneyWiseMom’s suggestion to use White Wash cloths. I use tan washcloths so after dinner we clean up the baby’s hands and mouth and then her highchair. I usually put it in a plastic bag near the exit of the kitchen and eventually take it to the laundry room to get cleaned. Note: This is a very good price. A lot more food but way to much to type! You might note that after all of that I spent quite a bit! I adore my Cricut personal machine! It has made my scrapbooking time SO much more relaxing. I don’t own many carts but my favorite is Paper Dolls.